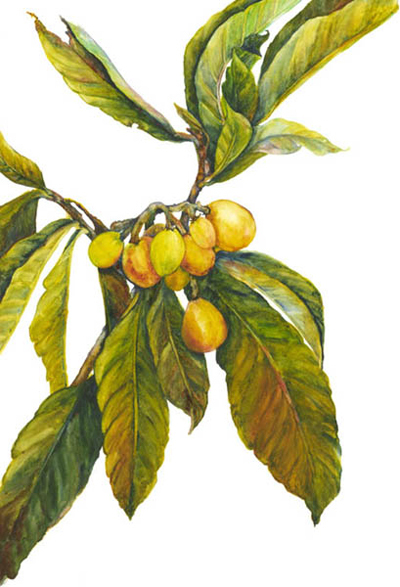 Nancy Jacobson has discovered the joy of painting plant life through her studies with Mary Harden. Nancy’s works are known for their vivid colors and dramatic compositions. Having experimented with many art mediums through her art study at Cal State, Nancy put her paint brushes aside when she entered the teaching profession. Upon retirement, she decided to try watercolor. 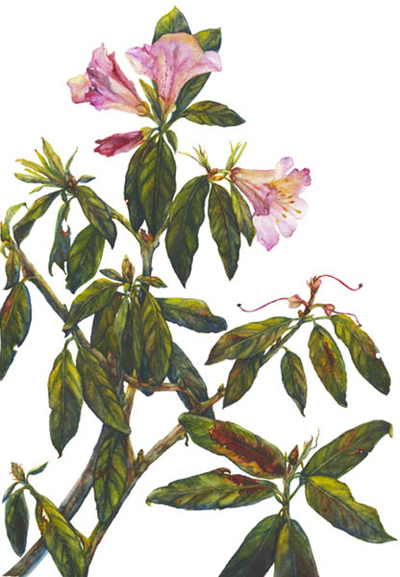 She began her studies with Mary Harden at Strybing Arboretum and continues to paint at the Mary L. Harden School of Botannical Illustration where she received her Master Artist Certificate in 2013. Nancy has shown her beautiful botannicals in the Bolinas Gallery, the Just One Tree Lemon Project, the 2012 Light in the Grove Art Exhibit to benefit the National AIDS Memorial Grove, the San Francisco Macy’s Flower Show Exhibit, and the 2013 Medicinal Plants exhibit at UCSF Medical Center’s Alumni House.